article written by the Journalist Lindsay Benett - EUROPEAN HOT AGENCIES. 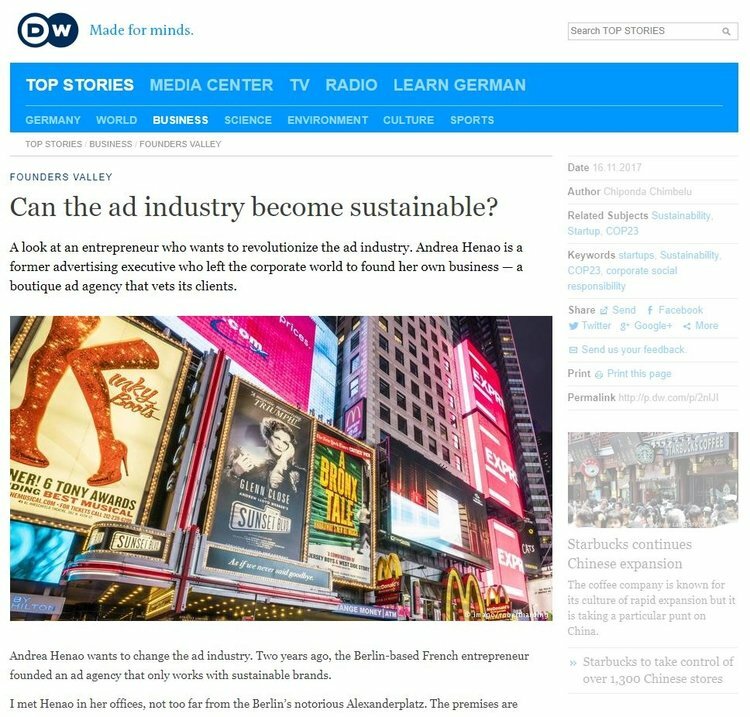 Content written Chiponda Chimbelu - CAN THE AD INDUSTRY BECOME SUSTAINABLE? Chief Editor Liz Jones - THE NEWFOUND OF RESPONSIBLE ADVERTISING. 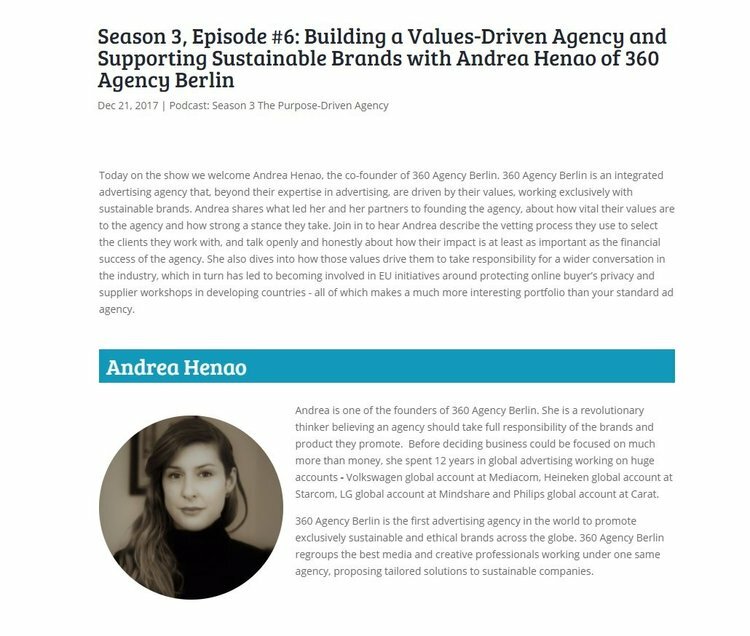 Article from Sylvia G "360 Agency Berlin talks values in it's advertising"